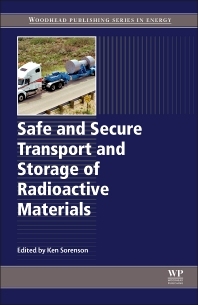 Safe and Secure Transport and Storage of Radioactive Materials reviews best practice and emerging techniques in this area. The transport of radioactive materials is an essential operation in the nuclear industry, without which the generation of nuclear power would not be possible. Radioactive materials also often need to be stored pending use, treatment, or disposal. Given the nature of radioactive materials, it is paramount that transport and storage methods are both safe and secure. A vital guide for managers and general managers in the nuclear power and transport industries, this book covers topics including package design, safety, security, mechanical performance, radiation protection and shielding, thermal performance, uranium ore, fresh fuel, uranium hexafluoride, MOX, plutonium, and more.